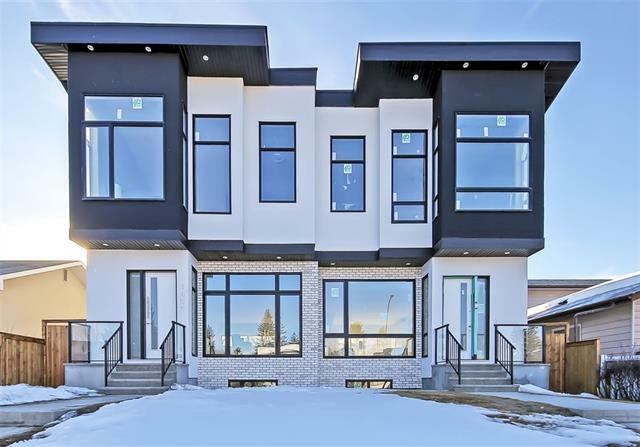 DESCRIPTION ***OPEN HOUSE*** SUNDAY 7 APRIL 2019,12:00 Pm To 4:00 Pm ***Front drive attached heated garage big size with walkout basement,Walking distance to 45 St,SW C-Train station,just 4th stop to Calgary downtown, 2381 Sq feet Building Plan+621 Feet 2-story semi-detached,open layout, 3+1 beds, 3.5-baths, finished basement w/ access to two rear patios & green space, gas line in lower patio & upper deck.Rough-in for central A/C,Main floor features a formal dining room with built in bench, front living room with see through gas fireplace & designer end kitchen with Jennair appliances, Lots of Pantry space, Security Camera monitor screen,central vacuum & large island with engineered hardwood floors, custom-built cabinetry, quartz counters & designer light fixtures. Second floor hosts 3 beds & 2 full 5 pc bathrooms, Basement has a bedroom w/ 4 pc bathroom,Fireplace, wet bar & separate laundry & separate rear access to basement for mother in law unit.Located in the heart of city. Home for sale at 1620 45 ST Sw Calgary, Alberts T3C 2C3. 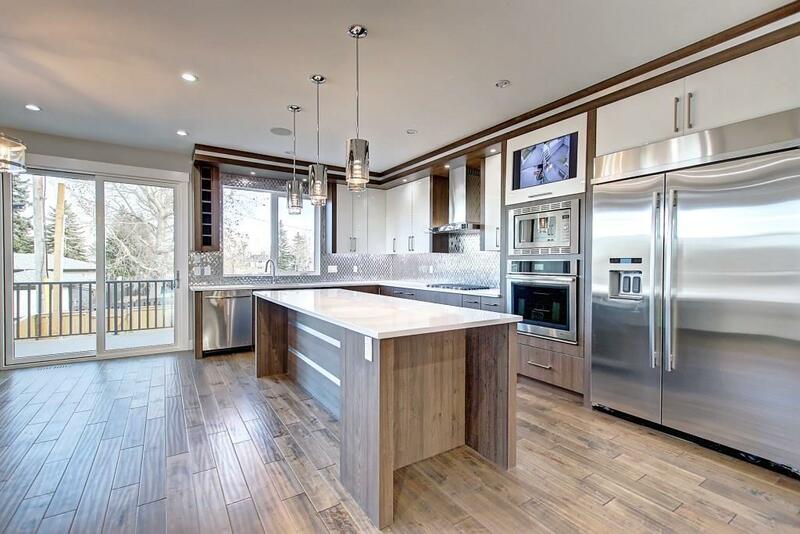 Description: The home at 1620 45 ST Sw Calgary, Alberta T3C 2C3 with the MLS® Number C4233107 is currently listed at $899,900.